This is one of my favorite sessions from 2017. There’s just so much about this family and the whole photo session that I adore. I met this family last year at Autumn Fest in Downtown Mebane. 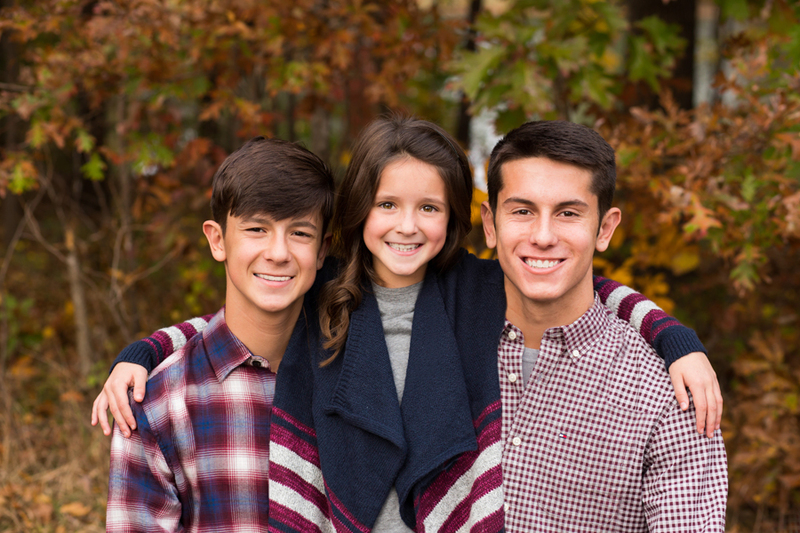 They contacted me for family portraits a few weeks later. Their last official family portrait was before her daughter was born. Before long, her oldest son will be heading to college. 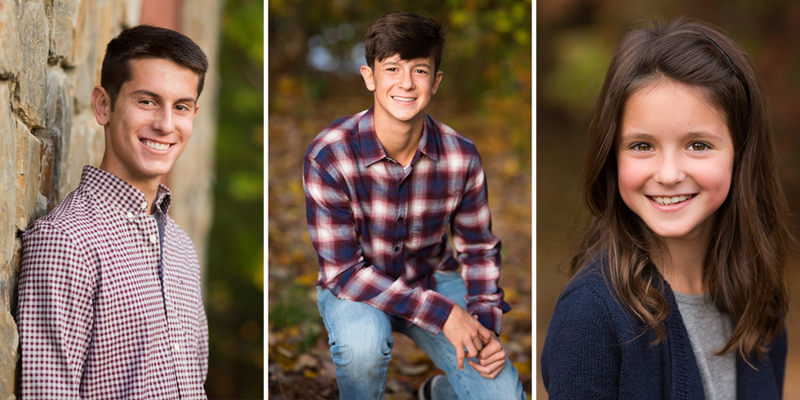 With that in mind, it was definitely time for new portraits and what better time than fall! Luckily, we didn’t have to go far for the perfect backdrop. Between their beautiful backyard and the wooded lot next door, we were able to create a variety of looks. As I tell everyone at consultations, family portraits look best when everyone’s clothing coordinates instead of matching. These portraits illustrate the point perfectly! I love this navy and red-violet color scheme they chose. With the parents in solids, the sons wore patterned button ups and the daughter wore a striped cardigan. Three different patterns that worked beautifully together! 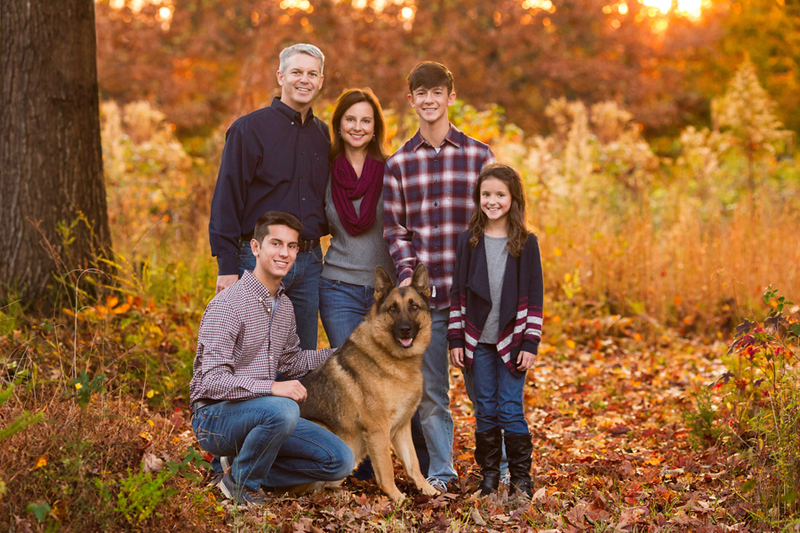 I love that Ace, their beautiful German shepherd, was invited for the last few poses of the evening. Because we were walking distance from their home, Ace was able to stay safely in their backyard until it was his time to shine. Once he came onto the scene, all our attention was devoted to getting his attention while keeping him on his mark. If you would like your pet included in portraits, we suggest bringing a leash, some treats, and letting us know some commands and keywords. Safety is always a top concern, doubly so when photographing pets in public areas. Leashes can be removed from the image during retouching. Love these portraits? Email katie@katiesmithphotography.com to book your free consultation. 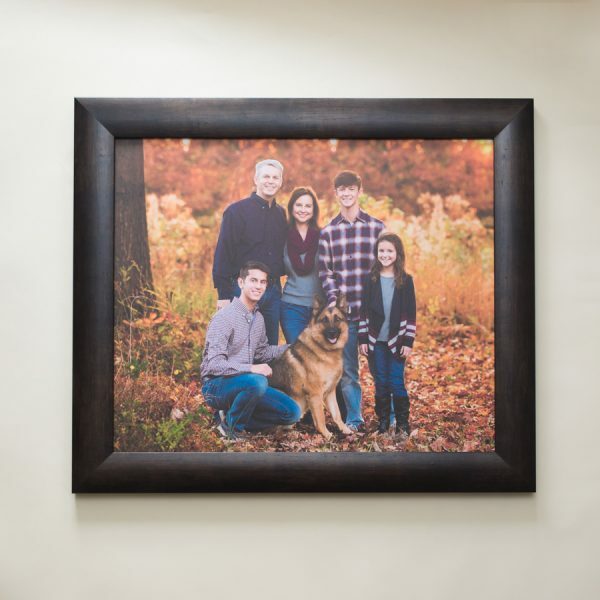 To replace the old family portrait, we created a beautiful 20×24″ portrait on fine art paper with a 2.5″ espresso frame. Because of the finished back and wire hardware, they were able to display their portrait within minutes of delivery! 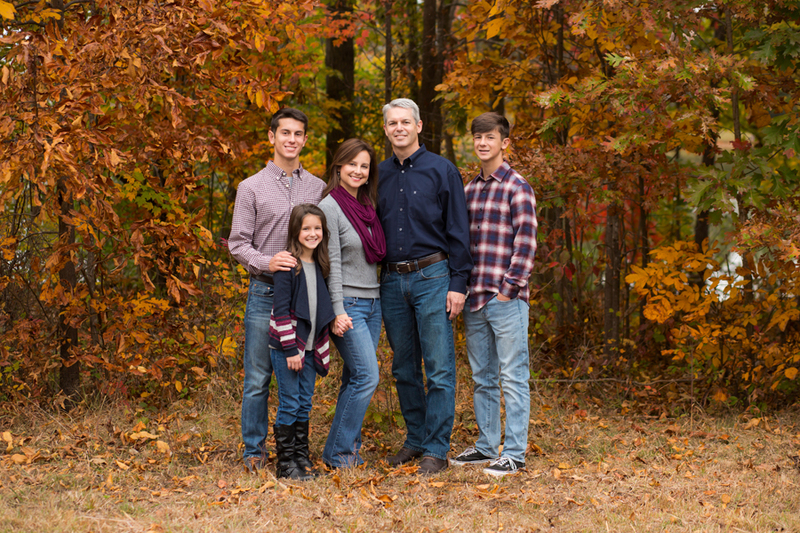 Katie Smith is a family portrait photographer in Mebane, North Carolina. When not behind the camera, she enjoys Netflix, hot chocolate, and staying inside on snowy days. Better yet, get the newsletter once a month so you can get VIP access to model calls and specials.